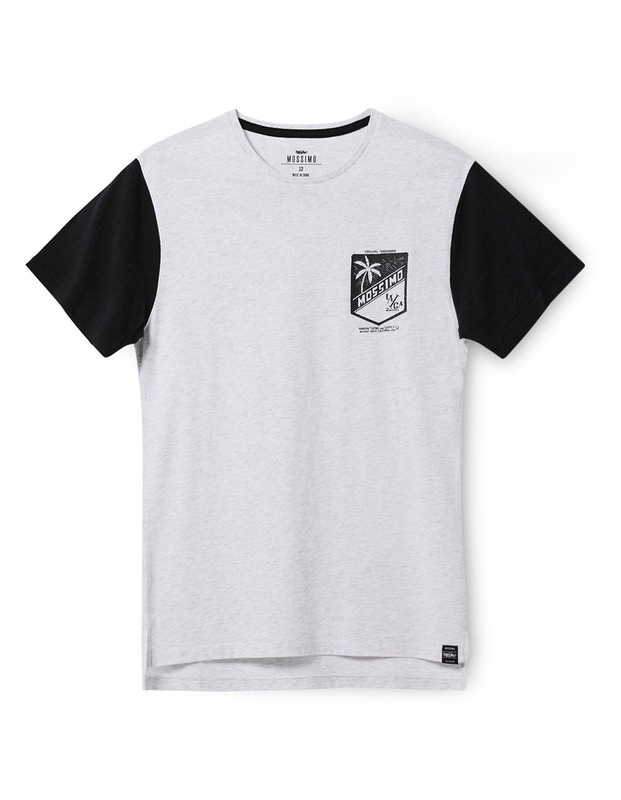 The Sunset Blvd Step Tee features a long line body with side splits in a comfy cotton jersey. The body is a light coloured snow marle with contrast solid sleeves. 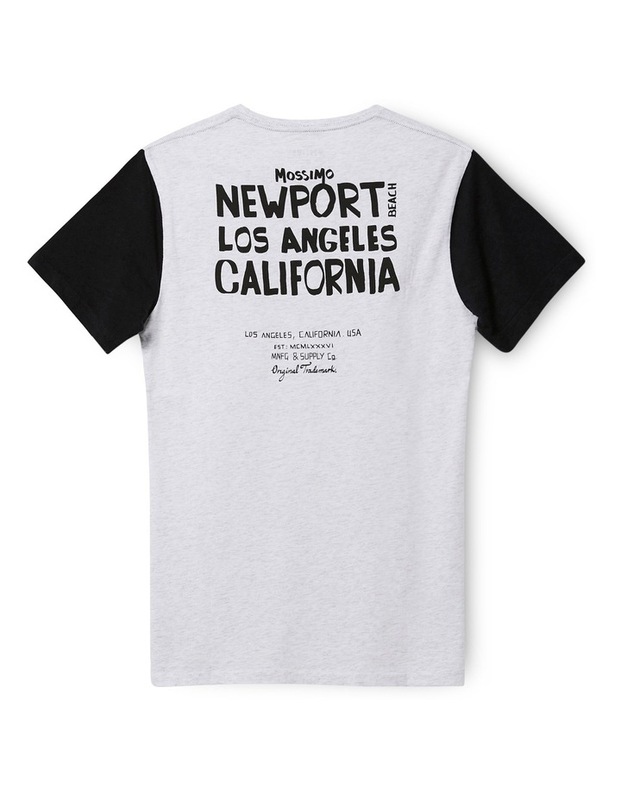 The pocket style printing on the front chest and hand drawn script print to the back body makes this tee a unique addition to any teens wardrobe.